A meeting in Geneva between US Secretary of State John Kerry and Russian Foreign Minister Sergei Lavrov to discuss the crisis in Syria did not provide any reassurance that things will improve quickly. If anything, the political rhetoric will probably last for some time given the letter that Russian President Putin sent to the New York Times which blamed the rebels for the gas. Reading between the lines, energy investors decided to push WTI crude prices $0.95 higher to $108.68. Gold nosedived $45 yesterday to reach $1,321.1 on the back of signs of a recovery in the US jobs sector, with unemployment claims declining to their lowest level since 2006. The support around $1,350 was easily overcome which could imply that a retest of $1,300 is a distinct possibility in the short-term. The US oil inventories report indicated that stockpiles at Cushing, Oklahoma, the delivery point for US crude, plunged to their lowest level for more than a year and a half. The news overturned a bearish morning trend, with the market ending $0.40 up at $107.70 a barrel. A weaker US dollar allowed gold prices a timid bounce back of $2.0 to $1,365.9. Reduced demand for safe haven assets is likely to resume the downside pressure but if the Fed's monetary stimulus is maintained we may see some support. With the threat of oil supply disruptions in the Middle East receding, WTI crude oil prices posted another sell off, losing $1.67 to close at $107.18. With the geopolitical risk premium slowly decreasing, the economic data might just take the driving seat back. Later today, the US Department of Energy is due to release its weekly stockpiles report. 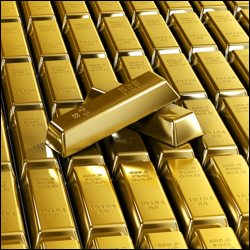 Gold prices remained under pressure as there was less demand for a safe haven hedge and the issue of Fed tapering started to move back into the spotlight. As a result, the commodity dropped $23.8 to $1,363.4 as the precious metal moves out of favour with investors once more. Support for President Obama's campaign to convince the US Congress of the need to intervene in Syria appears to be fading, thus easing concerns over the energy complex. Economy wise, the Chinese trade balance data surpassed expectations due to strong exports which fuelled demand prospects for raw materials going forward. This trumped the weaker US jobs report, but the reduced Syrian concerns saw WTI crude prices start the week on the back foot, losing $1.28 to $108.90 per barrel. Curbing Fed stimulus in September seems to be off the table so investors started to exit their long gold positions, pushing the metal $4.6 lower to $1,386.7. In addition, until the Syrian issue becomes clear, stock markets will probably attract more interest. As we witnessed recently, the energy sector discarded the disappointing weaker than estimated jobs growth, instead taking its cue from the rising tensions between the US and Russia over a strike on Syria. Consequently, WTI crude oil prices rallied $1.58 on Friday to close at $110.20 and were also helped by reports of falling supplies in the world's biggest oil consumer. It seemed that the economic issues took precedence for the gold spread betting market as investors searched for a wealth preservation asset when US jobs growth showed signs of fatigue. The precious metal gained $22.2 to $1,389.3, with a weakening dollar adding extra support.